Description: Cheerful greetings and festive invitations in classic and contemporary styles from Anna Griffin. Trend setting Christmas trimmings are just the thing to help you deck the halls for the holidays! 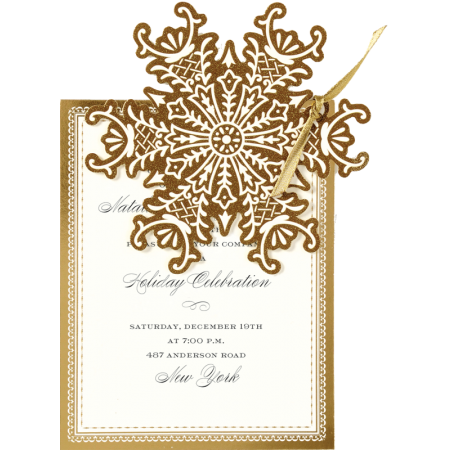 Each 5.5" x 7.75" invitation features diecut, glittered snowflake, printed card, satin ribbon and ivory envelope. Assembly required.